The other day, someone asked me how the Mt. 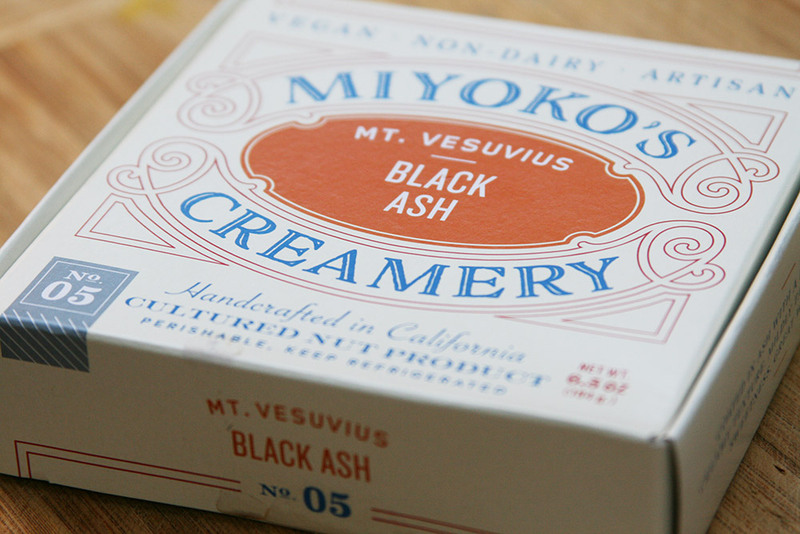 Vesuvius Black Ash cheese was from Miyoko’s Kitchen and I realized I’d never written about it here. 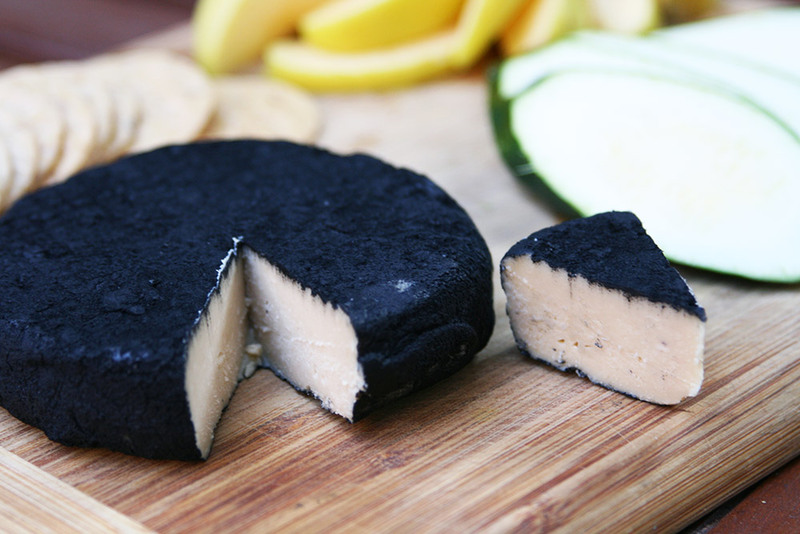 We’d first mentioned the mid-caost nut-based cheese-maker back in November, including shots of a wide range of their then current products, but we’d yet to experience their most goth of offerings at that time. The malady was quickly remedied though, and I thought I’d take a quick moment to share some shots of the visually impressive cheese. Honestly, like all of her cheeses, it’s great, but the taste of the Mt. 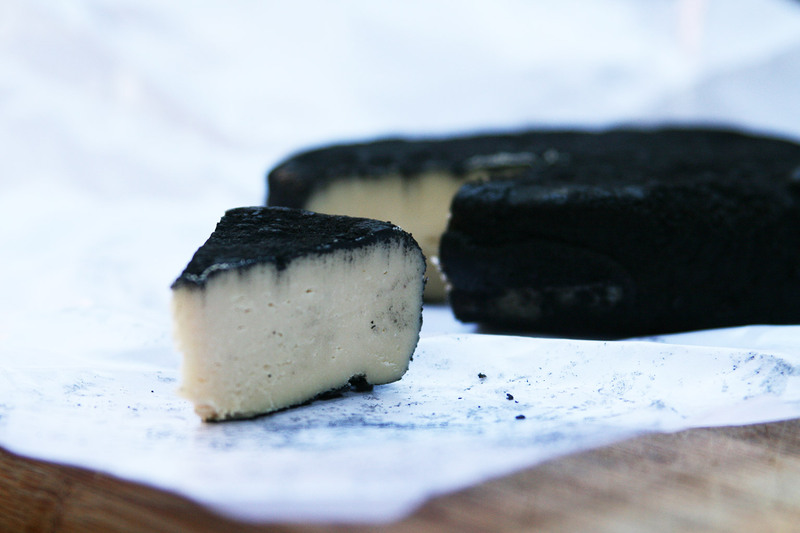 Vesuvius itself is pretty on par with the rest of her firmer-yet-smooth cheese. 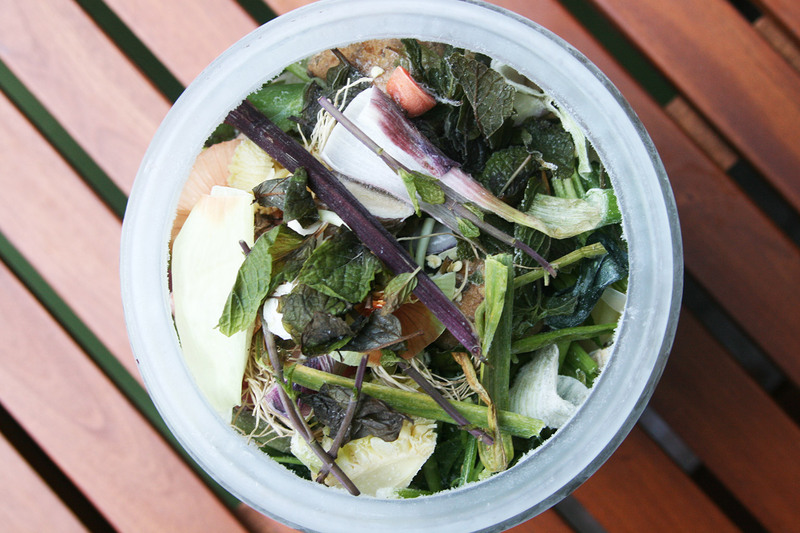 What sets it apart is what you can see here—the visually striking contrast of the creamy white cheese wrapped in the stark black of the vegetable ash used by Miyoko’s. As a whole, there’s a close-to-equal contrast in taste, as the rich, nutty base contrasts the smokey, ashy bitterness of the coating that’s interesting. 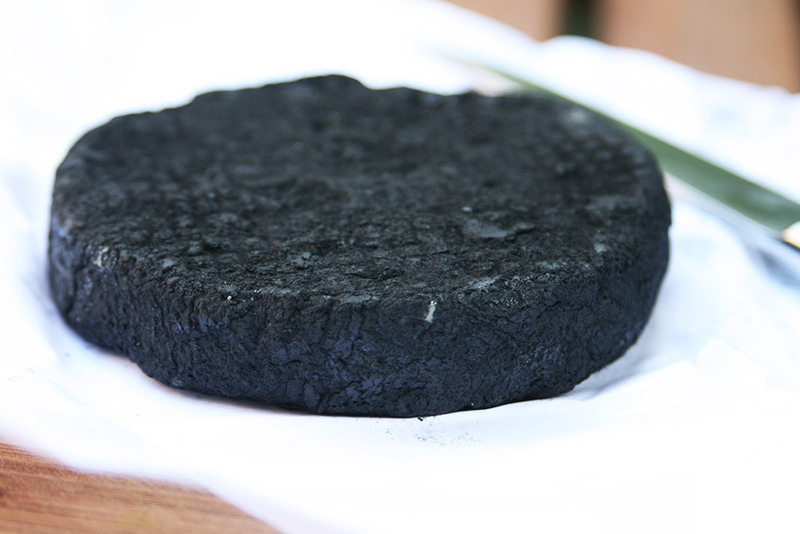 But there’s no beating the aesthetic of seeing this cheese wheel cut up on a plate of hors d’oeuvres. As with all of her products, highly recommended. 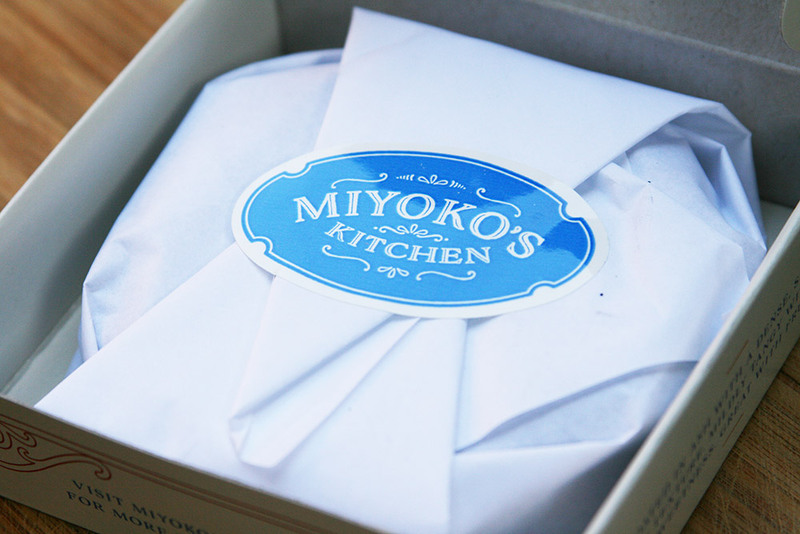 And, this month, 1% of all of Miyoko’s sales benefit Compassion Over Killing—all the more reason to order. Below, our unabashedly admiring parade photographs of the Mt. 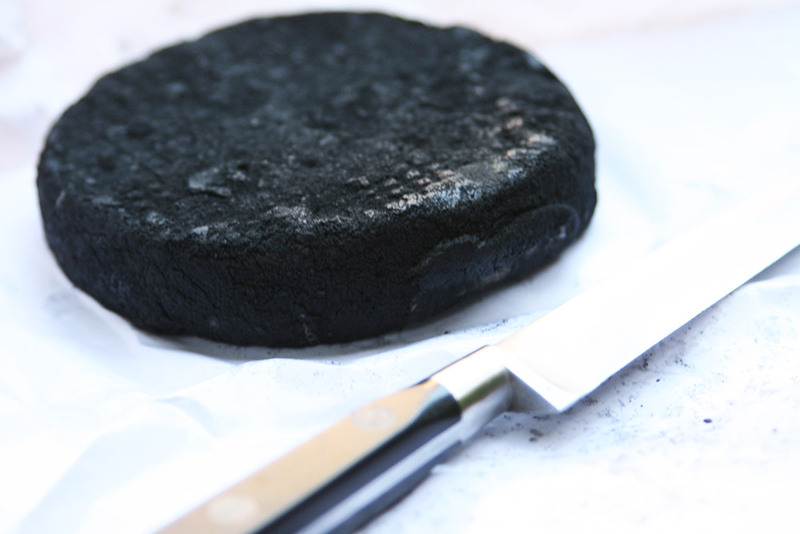 Vesuvius Black Ash cheese.